The month of May is here, which means contact is upon us! Every day until the event we will posting the statements of the Artist’s taking place in this years Contact, and a sneak peak of their talent ! Norman Felix Gallery proudly presents an eclectic array of contemporary Canadian photographers who push the craft beyond representation. Their work will bring the audience into a realm of introspection, exploration of alternatives to traditional presentation (bringing to light the ways in which the use of various mediums in conjunction with photography augments visual storytelling), and examination of the people and places that make the modern world what it is. Truth is only a construct based on individual experience and perception–our collection of photographers will illustrate this. 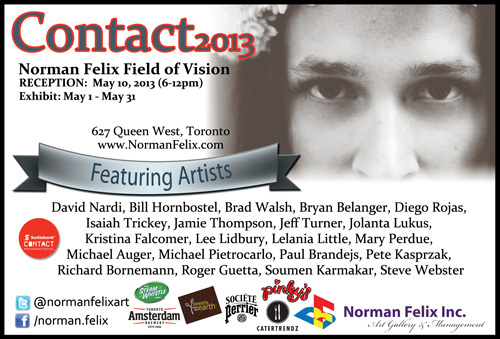 Join us at Norman Felix Gallery for Contact2013, Friday May 10th! We are also posting our lovely sponsors, and some hints to raffle prizes, and what is inside your Norman Felix sponsor swag bag! Pete Kasprzak , is he a photographer or a painter? Well, he is both, and certainly talented. This Artist has a unique style that is both lovable, and easy to hang on any wall. Norman Felix’s April Carreira was in California and had a sneak peak of the Artist’s pieces, “I have always loved Pete’s work, but these pieces are astonishing, and I wish I could have stayed for the show”. 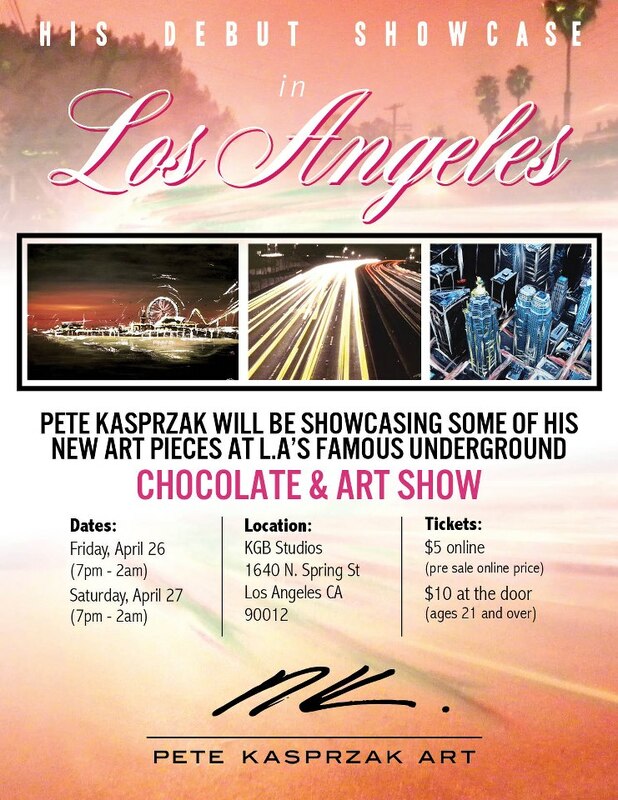 So, if you’re in LA, and you like Chocolate and Art, this is how to occupy your time this weekend! Norman Felix Gallery is pleased to welcome Any Direct Flight as a new Art Stop … stay tuned for more information on the artwork we will be hanging! 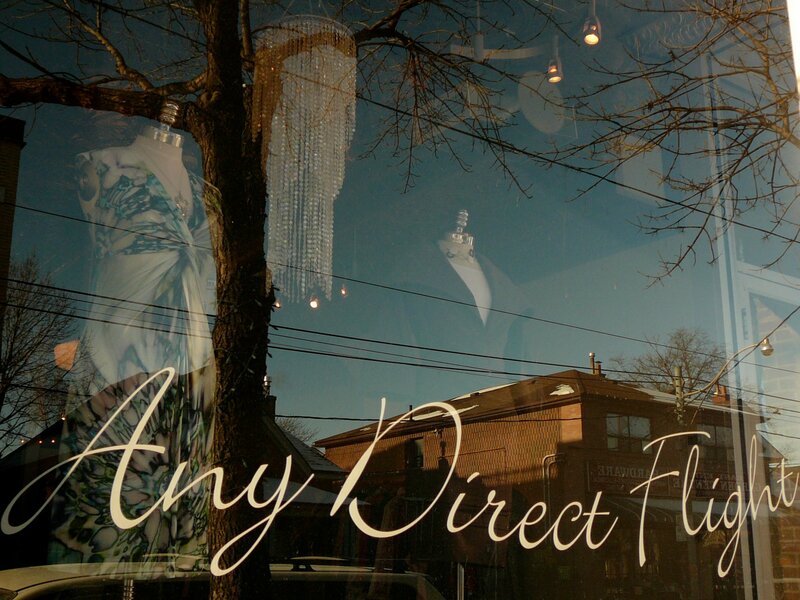 And, visit the website, http://www.anydirectflight.com/ , and check out this amazing place.